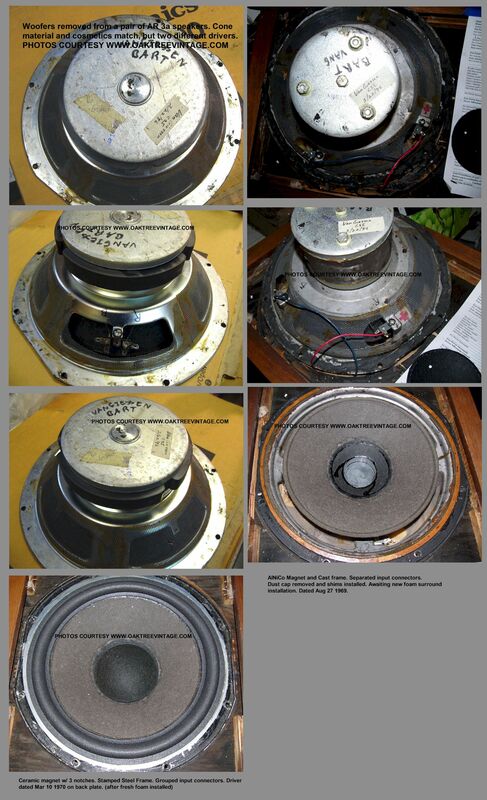 AR / Acoustic-Research replacement speakers Used Vintage speaker parts / spares AR92, 98LS 98, LSi AR-2 2ax, 4 4ax, AR11, AR5, 48s 48-s, 58 58bx woofers, mids / midranges, tweeters, crossovers, Grills / Grates / Screens / Front Covers, cabinets. Plate - - U 0 Reference info ONLY. 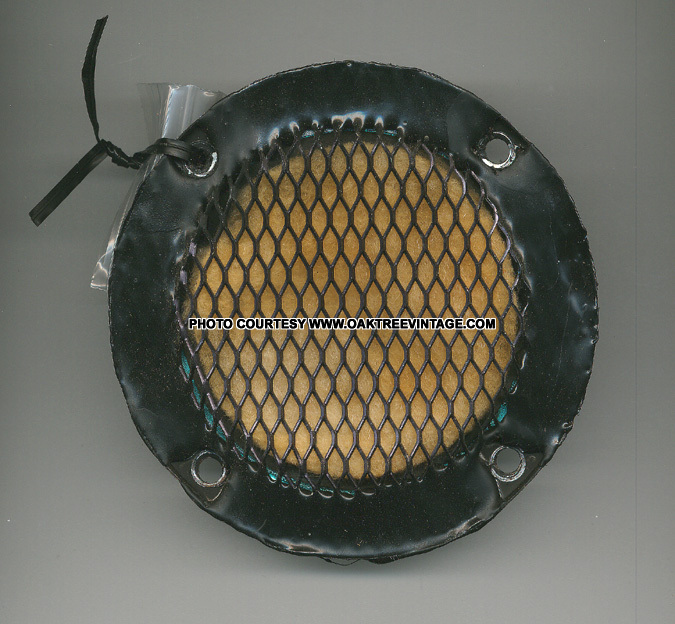 crossovers -8 3-way - - U 2 $85. ea. Good Cond. 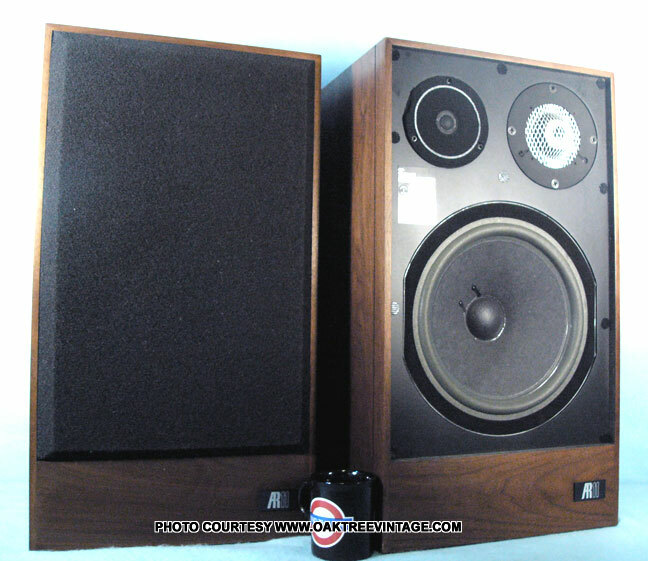 WOOFERs 200033 10" - 4 U 0 Reference info ONLY. mid - 4 U 0 Reference info ONLY. 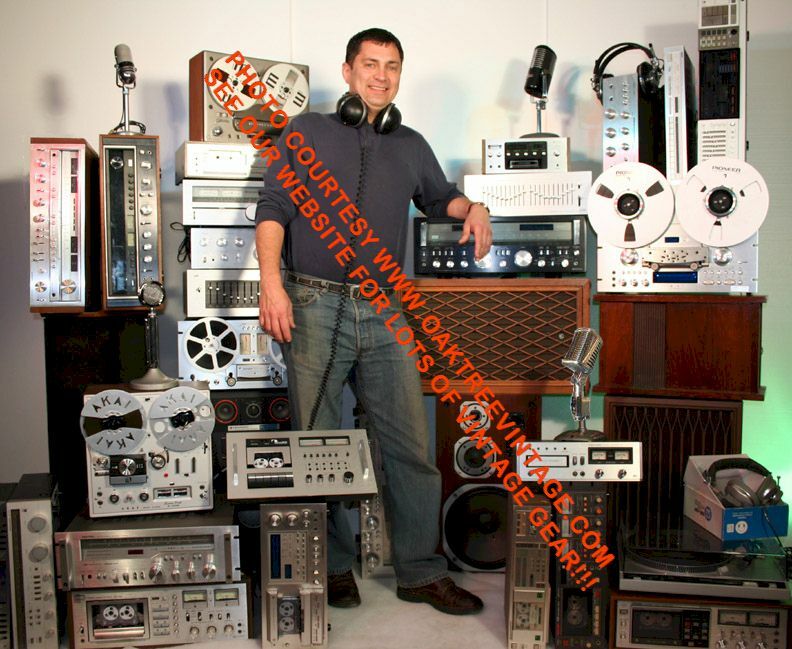 Tweeter - 4 U 0 Reference info ONLY. Open cell foam for midrange 8.5" x 6" Black - - U 0 Reference info ONLY. Open cell foam for Tweeter - Black - - U 0 Reference info ONLY. SPEAKERS Grills / Grates / Screens / Front Covers - - - - U 0 Reference info ONLY. Work, but need foam surrounds. Work, but will need new surrounds as the 'surgical tubing' type material around them has hardened and cracked. (Midranges sold separately) - 4 U 0 Reference info ONLY. 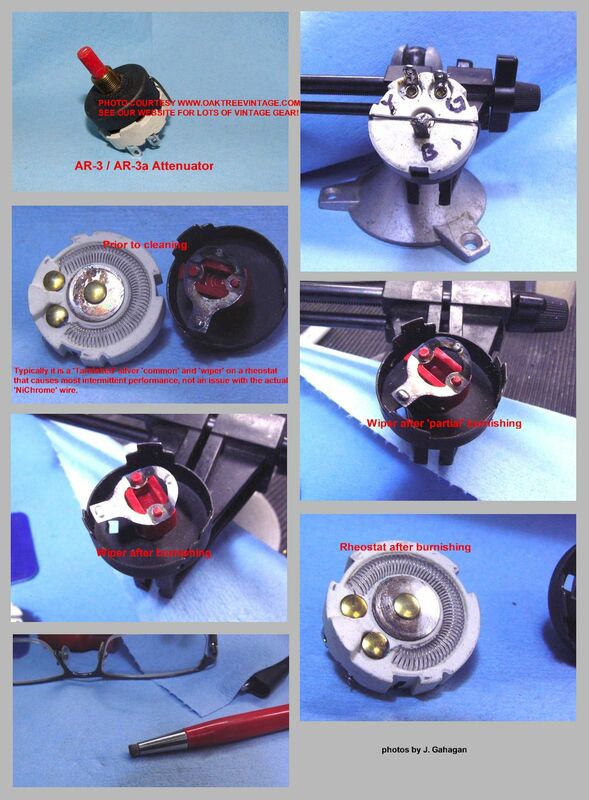 THE LISTING BELOW FOR AR-11 PARTS IS FOR OUR CROSS REFERENCE ONLY. 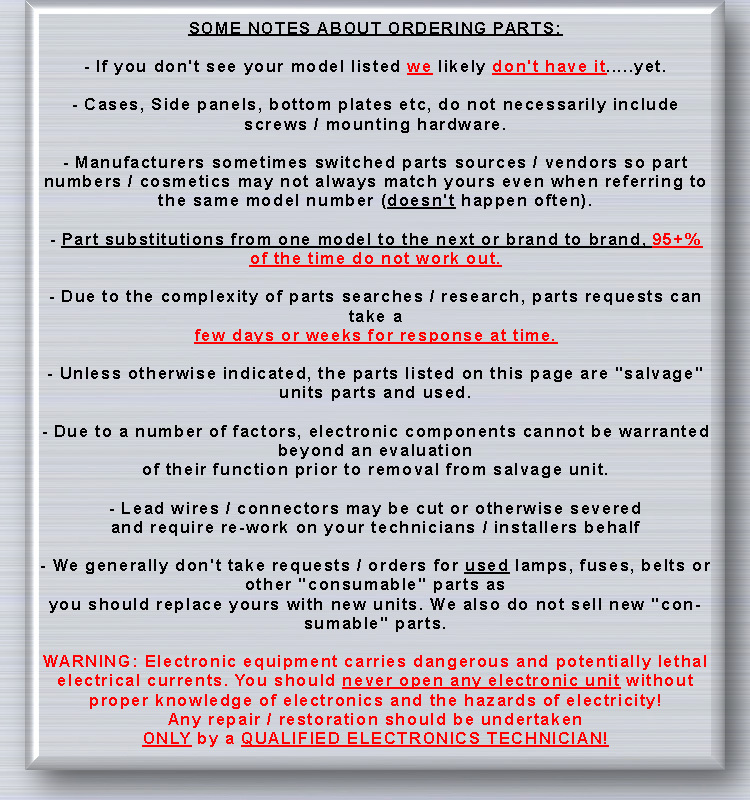 WE DON'T CURRENTLY HAVE ANY AR-11 PARTS FOR SALE. 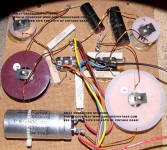 AR11 AR11B WOOFERS 200003 12" - 4 Ohms U 0 Reference info ONLY. 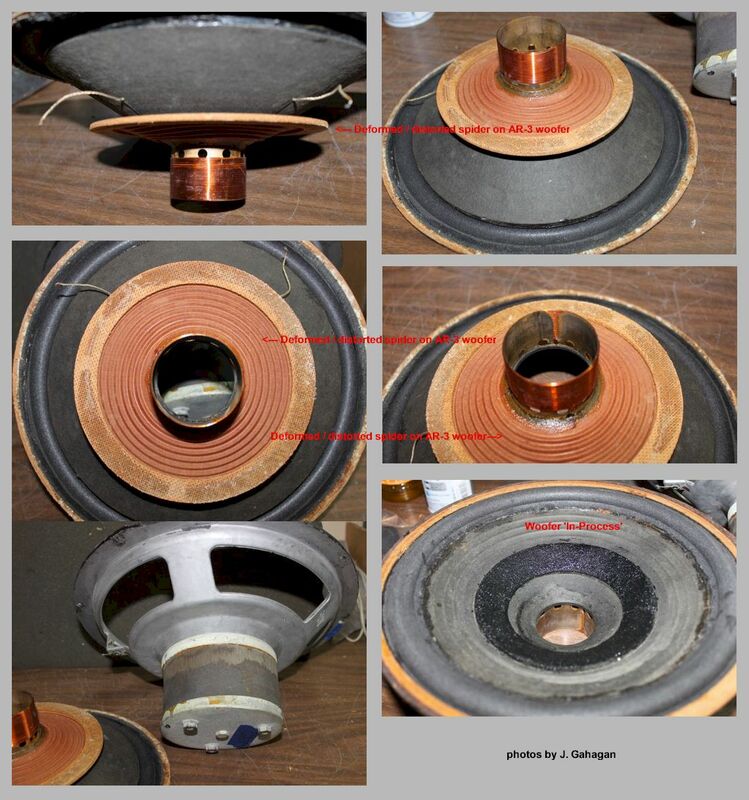 range ranges 200010-1 1.5" dome diameter - 4 Ohms U 0 Reference info ONLY. 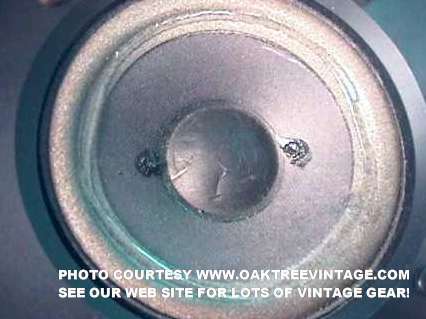 Tweeters 200011-1 .75" - 4 Ohms U 0 Reference info ONLY. 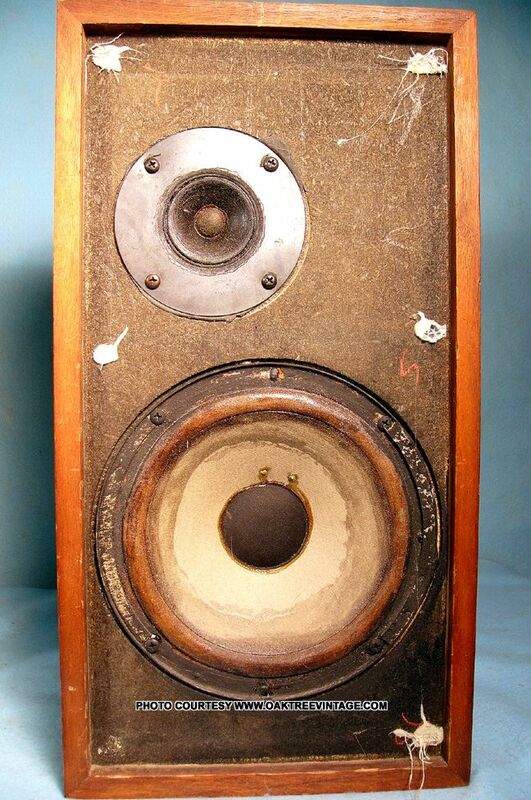 veneer 25" x 14" x 10.75" 3-way 4 Ohms U 0 Reference info ONLY. but more MAY occasionally show up. Check back periodically. Real Walnut Veneer. Would be difficult to remove crossover from cabinets. Steel plate, Ceramic Magnet, Expanded Metal 'Dome' screen. 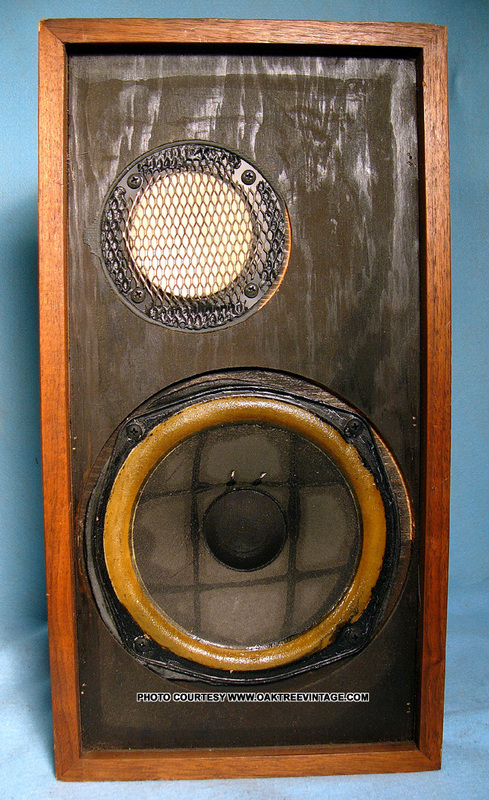 1968 2.25" - - U 0 Reference info ONLY. 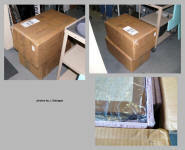 RESEARCH AR-4x Grills / Grates / Screens / Front Covers -8 17.75" x 8 5/8" Sandy weave cloth w/ Logo - U 0 Reference info ONLY. but more MAY occasionally show up. Check back periodically. 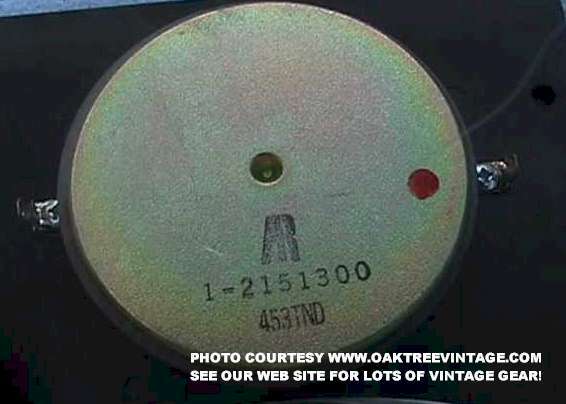 Same logo as on AR turntable. 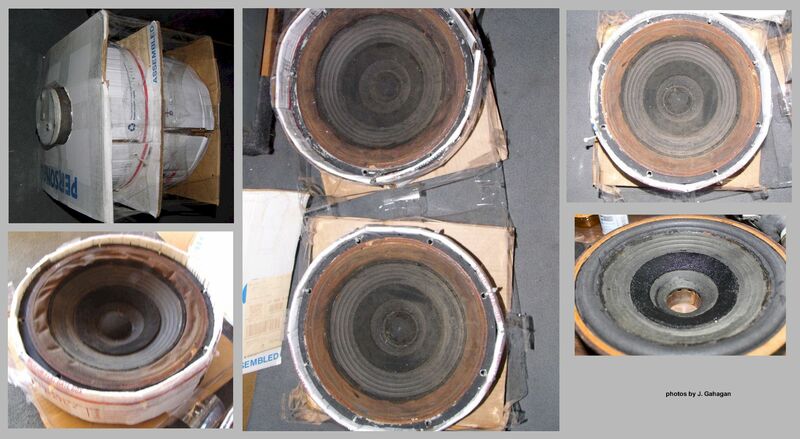 AR-3a Mid-High Attenuator being cleaned / restored. 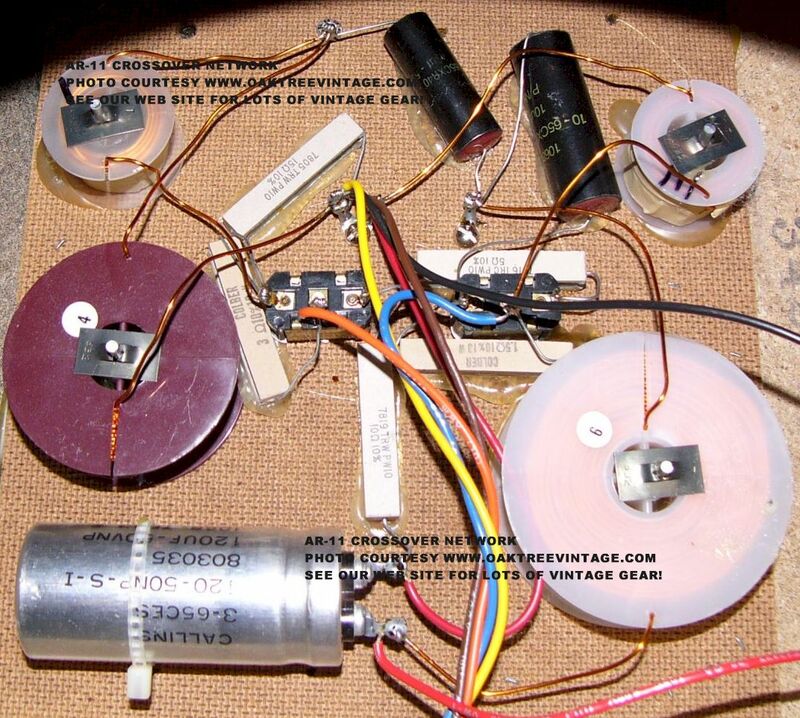 A common issue with many speakers with mid or high frequency attenuators / rheostats (may sometimes be referred to as 'potentiometers' but are typically not of the type utilizing carbon traces, but resistive wire instead) is that as you turn them, or if left in one position for extended periods, the mids or high frequencies may be diminished in volume or non-existent. This often leads to an erroneous diagnosis of bad / dead midranges or tweeters. 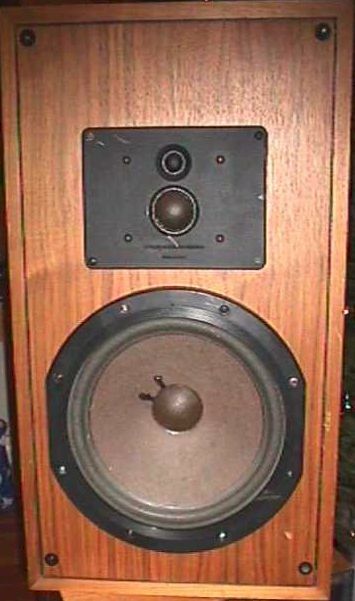 Typically manipulating the attenuators while listening to the speakers (assuming you are sending them a signal with frequencies sufficient to excite the particular drivers you are trouble-shooting) should cause them to reproduce sound (if only intermittently). 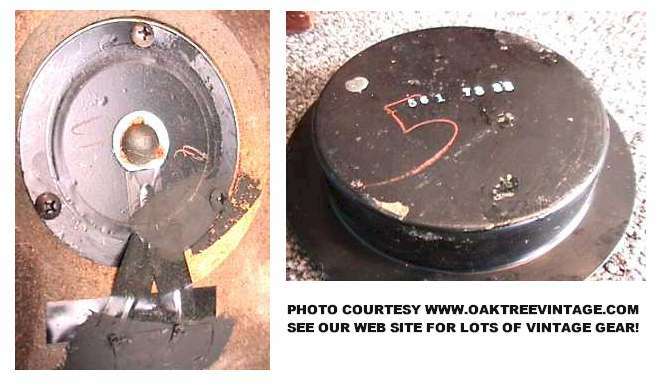 This is a sign that the attenuators need to be cleaned / repaired or replaced. but more MAY occasionally show up. Check back periodically. Cast Aluminium alloy frame. 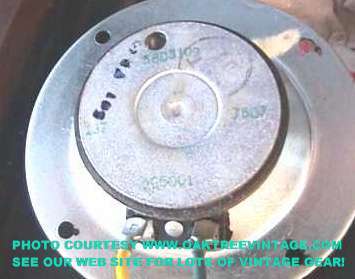 AlNiCo, 3-Bolt magnet. Pulp cone. Coated cloth surround. Neoprene 'damping donut'. but more MAY occasionally show up. Check back periodically. Hemispherical dome. Expanded Mesh covered. Can be steel frame or 'poly carbonate' frame. but more MAY occasionally show up. Check back periodically. 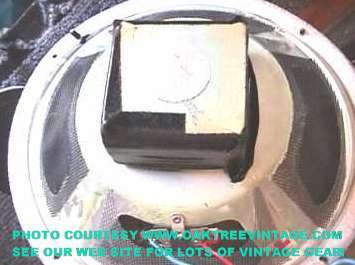 Hemispherical pulp dome. but more MAY occasionally show up. Check back periodically. Ceramic Body, Sheet metal covering. Silver plated wiper, and NiChrome Wire wound. version 10" Overall frame diameter (not 11" version) - 8 U 0 Reference info ONLY. versions 3 1/4" cone diameter - 8 U 1 $35. ea. Good Cond. versions 3 1/4" cone diameter - 8 U 0 Reference info ONLY. but more MAY occasionally show up. Check back periodically. 1 broken connector lug, so wire will need to be soldered on. board .75" - 8 U 0 Reference info ONLY. 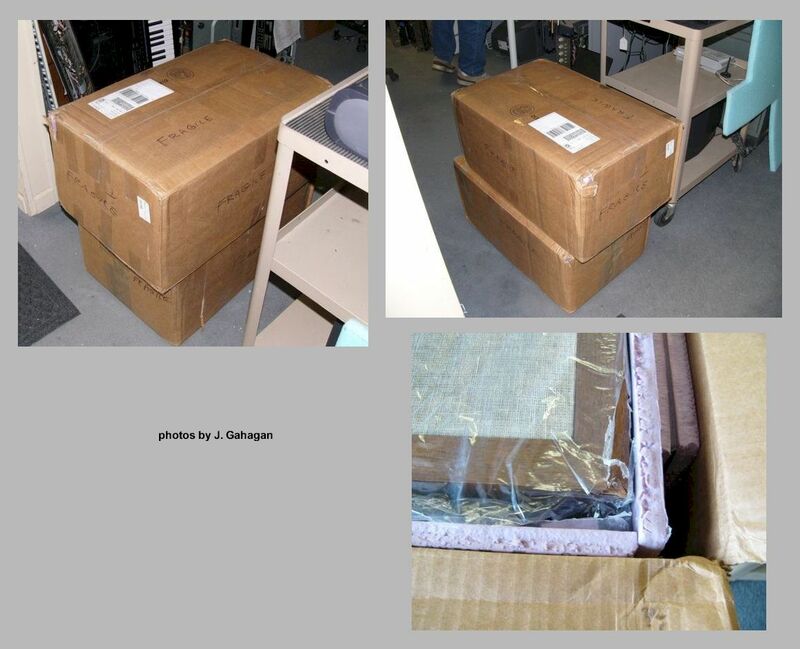 RESEARCH AR-2ax Grills / Grates / Screens / Front Covers -8- 22.25" x 11 7/8" Beige-Sandy weave Linen w/o logo - U 0 Reference info ONLY. 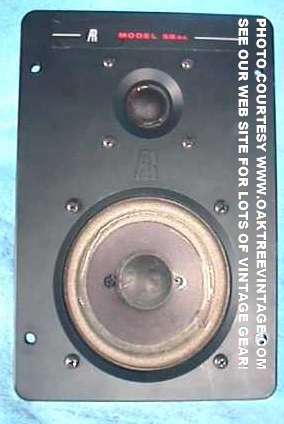 Cabinet w/ recessed mid and tweeter mounting) cabinets - - 3-way - U 0 -Reference info ONLY. 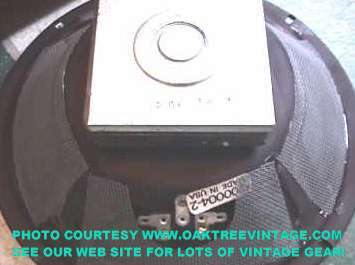 Cabinet w/ flush mount mid and tweeter mounting) cabinets - - 3-way - U 0 -Reference info ONLY.